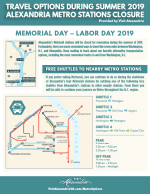 Alexandria’s Metrorail stations are undergoing renovations from May 25-September 2, 2019. Fortunately, there are plenty of convenient and affordable ways to get between Alexandria and DC or Ronald Reagan National Airport. 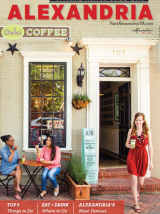 See below for alternative travel options to consider during the Summer 2019 Alexandria Metro shutdown.